Black Atlantic continues to bring the best in electronic music to London. Modeselektor have already brought their unique brand of monkey mischief to Melt Festival, Bloc Weekend and a few other choice parties across the globe but Saturday 30th April sees Modeselektion hit London for the first time, with a heavyweight line-up of Modeselektor, Mala, Siriusmo, Doc Daneeka,Benjamin Damage and Patchwork Pirates in effect. The secret location will be announced shortly, check the BA Twitter and Facebook pages for updates. Wildly diverse, infused with exuberance and inspired by a slap of the absurd, Modeselektor’s inarguable grooves seem to emanate from every conceivable musical genre, creating a controlled chaos whose sonic expression elevates the eyebrows and heartbeats of critics and dance floors around the world. ‘Boundary breaking’ is a phrase that today almost every artist wants to claim, however Modeselektor’s description as such does not come as an afterthought or marketing ploy. The idea of breaking boundaries permeates their music because this dissolution of cultural borders is ingrained in their very identities. In 1999 they began working with the Pfadfinderei VJ collective, and in 2000 they met Ellen Allien and began releasing on her BPitch Control label. 2005 saw the release of their first album Hello Mom! which immediately earned them an international reputation. Happy Birthday! followed in 2007. Collaborations and remixes with and for Thom Yorke, Björk, Maximo Park, Miss Kittin, Boys Noize, Roots Manuva and many others, not to mention stadium tours with Radiohead, have made them known to audiences all over the globe. 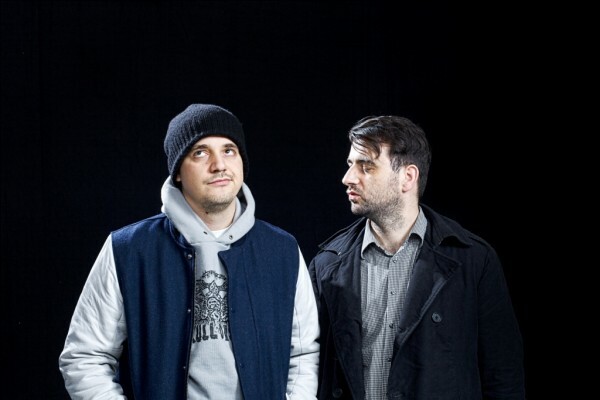 Since 2009, Modeselektor have mainly been active as a trio in their collaboration with Sascha Ring aka Apparat as the electronic super group Moderat, which has appeared at countless festivals worldwide. 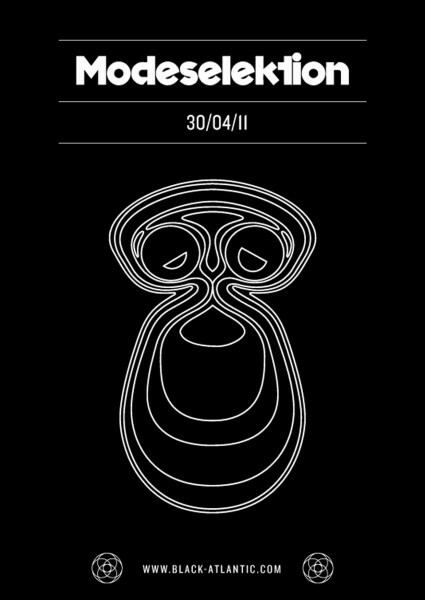 Modeselektor have now founded their own Monkeytown Records imprint, releasing “Modeselektion Vol. 01”, a compilation of exclusive tracks by various friends and associates, and the deadly 50 Weapons series of vinyl club tracks. One half of Digital Mystikz (alongside Coki) there isn’t much that hasn’t already been said about Mala despite him being a man of few interviews. 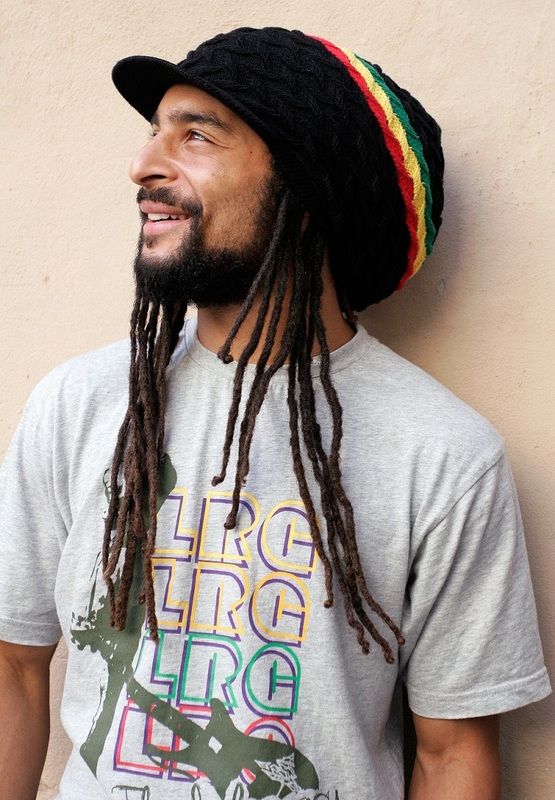 He runs the flagship dubstep labels DMZ and Deep Medi whilst travelling the world preaching the virtues of bass weight. Hosting the pioneering DMZ event bi-monthly at Brixton’s Mass since 2005 (arguably the most influential event of the dubstep movement) Mala is also responsible for some of dubstep’s signature tunes, from ‘Anti War Dub’ to ‘Bury da Bwoy’ and ‘Lean Forward.’ His recent mini album ‘Return to Space’ was acclaimed by all those in the know whilst he’s steadily built Deep Medi, affording a platform to producers such as Cyrus, Silkie, V.I.V.E.K, Goth Trad and even Calibre. Mala has consistently set the standard to which others aspire. A love for melody, combined with an intricate knowledge and feel for the science of sub-bass results in some truly unique music, appreciated by fans of a multitude of genres. No doubt packing his fifty weapons Mala is guaranteed to bring the caustic low-end punctuation and thump to the evening’s proceedings. Siriusmo is from Berlin, and is signed to Monkey Town records. He has released a handful of EPs over the years, including ‘Discommoding’, ‘Call-girls’, ‘Mini rock’, and the ‘Sirius’ EP. Boys Noize, Mr. Oizo, 2 Many DJs/Soul Wax, Yelle, Cassius and many more big names of the electronic music world repeatedly name Siriusmo the most talented producer they’ve come across and his remixes for Gossip, Scissor Sisters and various others have turned dancefloors worldwide into places of ecstatic mayhem. Finally we’ve been able to fully explore this unique talent for the unadulterated, all-encompassing artistic vision with his debut album, ‘Mosaik’ released in February of this year. Siriusmo strides confidently through a rich array of genres from dubstep to disco, hip-hop to house, electro to experimental. After having said he would not DJ or perform live he finally gave in when he performed his first live mix on a radio show in 2010. April 30th however sees his first every performance in London. Just recently Siriusmo has joined the Modeselektion tour dates of his friends and supporters Modeselektor and has been a true highlight of the night so far. Since debuting his own solo ‘Deadly Rhythm’ EP on RAMP Recordings offshoot PTN, Doc Daneeka’s received plaudits from just about everywhere, through stream of bar-raising releases and remixes for the likes of Delphic and the Prodigy. He’s at ease moving from the deeper soulful four four cuts to tracks reliant on heavy tribalist drums, klanking percussion and weighty subs more at home in the sweatier clubs. His own Ten Thousand Yen project is bringing even more hi-grade, percussion-heavy funky to the fore. Benajmin Damage is another name to watch out for this year. As one half of Venom & Damage he was responsible for the ‘Deeper’ track on Ten Thousand Yen and he also has previous with Modeselekor; his Zeppelin track was the fifth release on their 50 Weapons imprint. Look out for his new label project, Solva, launched with his own ‘Antidote’ EP this year. Damage and Daneeka recently teamed up to produce the killer ‘Creeper/Infamous’ 12” an astonishing UK Funky/Techno hybrid released on Modeselektor’s own 50 Weapons imprint and they play a B2B set at Modeselektion for the first time. Patchwork Pirates have been pulling strings for a while now for various institutions including fabric, Brownswood Recordings, Dazed & Confused and more. They throw the Earnest Endeavours parties in underground spots across London and will soon launch the label of the same name alongside a magazine and radio show on NTS Radio. Alex Patchwork has seen a steady stream of bootlegs and DJ tools surface over the past few years (check the Lil Flip vs. Dorian Concept Remix on TLM Records) and the fellas bring the freshest bumps to every party. Berlin based design bureau Pfadfinderei is a collective of graphic artists and motion designers, whose work ranges from print and web design to video production and audio-visual performance. Strongly influenced by hip hop and more abstract electronic music, their visual style dynamically draws together vector graphics, typography and urban footage. Organizing Lab.land, a series of events that brought together musicians and visual artists, they started their long term collaboration with Modeselektor which culminated in the Labland DVD on the Parisian label Dalbin. 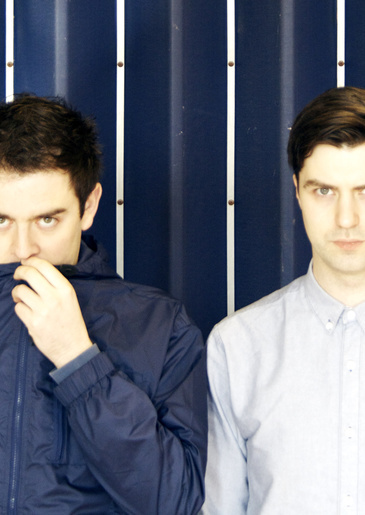 They have performed at countless festivals and club nights on their own or with Modeselektor and with Moderat. Apart from commercial video animations they’ve also dabbled in interior design and conceptualized video/screen installations for various European event locations.